Tag Archive | "android 4.0"
At the beginning of the year, if you would have told me that, by the summer, there would be a dozen different Android tablets available for order from reliable, first tier manufacturers, I would have told you to get outta town. We were likely all desensitized to the constant stream of news that seemingly had the same message: “Company X announced the Y Tablet today. It features blah-blah-blah-blah-blah-blah-blah. No information was released on a launch date or pricing.” It had gotten to the point that I immediately went to the bottom of any announcement of a tablet-device, and if it had the standard blurb about no launch date or word on pricing, I did not read the article. Flash-forward to the present. That standard blurb I mentioned above is something that we are seeing several times a day now. The difference is that with each instance of an announcement, there is a level of confidence that we are actually reading a press statement about a device that will be delivered to the market and will not just become vaporware. A year ago, this was not the case. I regarded almost every announcement of an Android tablet as a veritable Chupacabra that I would never actually see. Now, launch events for tablets and the equally interesting Android OS updates are major media events, commanding the undivided attention of the journalists in attendance, and the readers reading the live-blogs in real time or catching up on the ensuing hands-on later in the day. Keeping up with the state of the tablet market is now almost a hobby in and of itself. As we head into the closing month of this watershed year in the tablet industry, with still more compelling Android tablets promised to hit retail before we turn the corner into 2012, I have been reflecting on the past year and pondering what is yet to come. I have a few ideas of what the recent past has meant, and what the future might hold. Not convinced that there is any way that I could possibly have all of the answers, I engaged my fellow editors and contributors from Carrypad in a dialogue on the topic. We each took a shot at answering three key questions that we felt were critical things to consider and might very well define the picture of the Android tablet market today. Each writer answered the questions in-the-blind, unaware of the answers from the others. Please join us in this dialogue and post your thoughts on our perspectives, as well as your own original thoughts on this subject in the comments below. Many pundits talk about the belief that there is no tablet market, there is just an iPad market, and the other manufacturers are just flailing, trying to tread water in a marketplace that does not exist. Are they right? If not, what do Google and its hardware partners need to do in order to compete for consumer dollars and a place as the the second or third screen in users’ personal computing kits? Ben: Apple definitely created an iPad market, not a tablet market. You can see this easily with many of the capacitive-only Windows slates that are trying to pull a “me too” move, but are absolutely failing when it comes to user adoption. Trying to shoe-horn a touch (finger only) keyboardless experience onto a Windows machine is just silly. That’s not to say that there isn’t room for Android, but at the moment, Google has a product for geeks, while Apple has a product for everyone (including geeks). I often look at it this way: iOS and Android are comparable, but Android needs heavy customization out of the box to be brought up to the level of iOS usability. Because of this, the iPad dominates the mainstream (probably more so in the US than other places). There’s also something to be said about app-quality and system stability. The competition between the iPad and Android tablets is absolutely healthy for consumers, and it’s great to see the wide range of computing-styles that are offered by Android devices. If the iPad was the only game in town, they’d stagnate (in some regards they have), but thanks to Android, Apple has to be ever vigilant, and vice-versa. Damian: There has been a tablet market, although small, for many years before the iPad. Many of the readers of Carrypad will have had windows tablets since the old days of Windows XP Tablet Edition, which was officially released in 2001. The tablet market then was mostly a business or enterprise market and you’d have to credit the iPad with launching the mass scale consumer tablet market for an easy to use consumption device. The iPad dominates the consumer consumption market but Android tablets are gaining ground. Both still can’t quite make it as an enterprise device and the first one that cracks that will have an advantage. With rumours of Microsoft Office being developed for the consumer tablet OS’s this might be the tipping point. I think adding a stylus that works well changes the equation considerably and a well implemented, pen driven solution (ideally running Office) that allows users to create, in a common, accessible format, will boost the Android tablet market share. Jerry: I don’t think these guys (the pundits) are right. 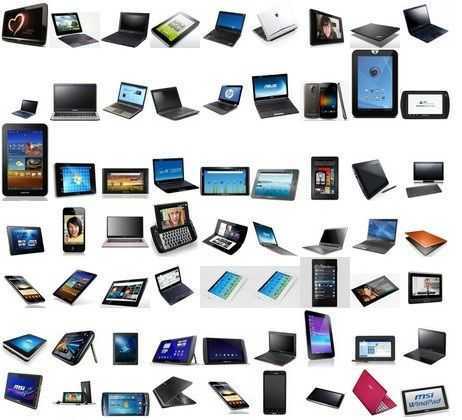 There are some 6 million plus Android tablet devices in operation, and that constitutes a market to me. It took a long time for Android to gain traction in the smartphone market, with the G1 being just interesting, but things really started taking off with the arrival of the original Droid on Verizon. For Google and its partners to push more adoption, I am not sure if the saturation tactic that was has worked in the smartphone market is going to work for tablets. I think general consumers will be compelled by more content. Android has a great hook with its one-source approach to aggregating access to all content mediums via your single Google account. But they need a better library in Google books, a music source for procuring music (Blast it! I drafted this before the Google Music launch), and further integration with Google TV. It would be a huge plus if I could be watching an episode of a show on my tablet, and then have my stopping place synced with a GoogleTV device to continue watching the content from the same place… and for there to be worthwhile, current TV content. Chippy: In terms of tablets there really is only an iPad market at the moment. Android tablets remain a niche, rather geeky option. The reason has nothing to do with hardware design or OS, it’s to do with the apps. There simply aren’t enough devices out there to justify any serious large-screen/fragments-enabled quality developement work. By my estimate there are between 10 and 15 million Android tablet devices out there. Some 5″, some 7″ and some 10″ devices, some running Android 2.x and some 3.x. The effort required to make a quality app across this fragmented product base is too big for the potential returns. For this to change, the number of fragments-enabled devices out there needs to grow considerably. 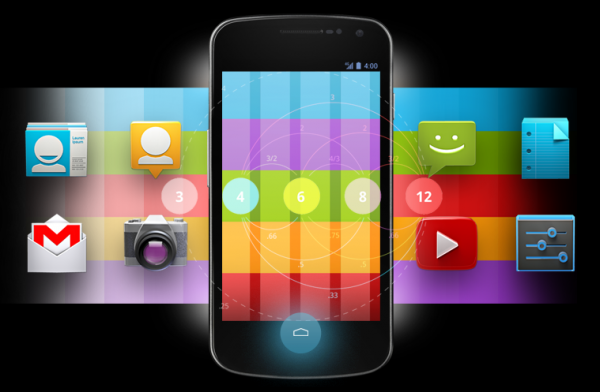 ICS will help slowly during 2012 but for Android to stimulate major development work, soon, it needs a breakthrough product. The Kindle Fire could have been that product but with its 2.x OS it won’t stimulate the important use of fragments. 2012 looks like another difficult year for Android tablet apps. The pundits also say that fragmentation of the Android OS is a key detractor from the product category gaining ground, not only in the tablet market but across smartphones as well. How do you define fragmentation, or do you feel it does not really exist? There is also a discussion of ecosystems and its criticality in the mobile market. How do you define a mobile ecosystem, or do you think this factor does not exist, or is not as relevant as some suggest. Ben: “Fragmentation” is not an issue inherent to Adroid, but rather a desire of Android device manufacturers. Apple only markets one line of phones and one line of tablets, and at any given time, there is only one model that is considered the flagship device. For Android, any number of phone/tablet makers may have comparable devices, so how can they ‘differenatiate’ (aka fragment) their devices to appeal to customers over their competitor’s devices? The answer often comes in adding custom skins, pre-baking in selected applications and services (some of which may be unique to a given device). This means that the specific experience between tablets is somewhat different. Depending upon the hardware, you might not be able to see the same applications in the Android Market because not all applications are supported on all Android tablet hardware. If a non-techie user buys an Android tablet and enjoys using a specific application that comes with it, they may be surprised to find that when they get a new tablet, that application is not available for it. The only way to avoid this issue is for the user to understand the way this ecosystem works, but that can’t be expected of non-techie users. When it comes to the iPad, you can expect the latest iPad to be capable of running every iPad app (and iPhone app for that matter) that’s ever been made. Furthermore, because all apps are made with the top-end hardware in mind, you can expect any app available to run well if you have the current generation of iPad or iPhone. Damian: I think fragmentation, which I define as multiple hardware manufacturers making different spec’d devices and different implementations of the same OS, is a major factor in consumer uptake of Android tablets, not smartphones. The Android phones need to act as a phone first, then web consumption device, then app using, game playing devices. They usually don’t tend to be used as a consumer of complex media or producer of enterprise content. The phones have different hardware for sure but the manufacturers seem to be doing a good job of making sure their hardware works in most scenarios, i.e. plays all the media formats it needs to, opens pdf’s and documents when attached to email, renders different websites, etc. The tablet space is more complex and the fragmentation hurts it more. Some devices have full sized USB, some devices have SD card slots, some devices have docks, some devices play all of the video formats and some don’t. This is where the split of the manufacturers seems to hurt most. It’s frustrating when one video plays well on your android phone but not on your tablet. Aren’t they both Android? A website looks great on your Android tablet but when you send the link to anther Android tablet it breaks. Sure you can download a new browser which is one of Android’s strengths but it’s also a hassle. If you see something on one iPad it will work on another iPad â€“ that’s the advantage of controlling the whole ecosystem, both hardware and software. Jerry: I do not think fragmentation exists in the way that I hear a lot of other journalists discuss it. I do not agree that that skinning Android is a form of fragmentation, and the discussion about any difference from the baseline version of Android being fragmentation seems to be a very conservative view. I do not think these perspectives are so close to the reality, and I do not classify mods like HTC Sense or skins like TouchWiz as examples of fragmentation. Where we were as recent as a year ago, there were many new phones being sold that were already whole baselines behind. In other words, tablets and phones were being released with Android 1.6 when Froyo was already out: that’s an example of fragmentation. More so when those devices were immediately abandoned and never saw updates to a 2.x version of Android, that was also an example of fragmentation. It is the analog to Windows XP laptops being sold when Windows 7 was already out, and then those laptops not supporting a path forward to Windows 7. Android is open source, and variety in deployments should be expected, just the same as we expect it with LINUX. Yes, ecosystems are important. I define ecosystems as a collection of hardware, connectivity, and services, without which, the hardware as a standalone device would offer very little value. They are obviously important for smartphones, and they are perhaps even more important for tablets. The tablet by itself represents very little functionality. It is only in combination with its network connection, app store or market, and back-end cloud services (email, contacts management, plug-ins to social networks, content availability, and online profiles) that a tablet becomes useful. Amazon’s Kindle Fire has a better fighting chance of being a viable competitor than the Nook Tablet because it brings a kitchen sink of content availability via its ecosystem and consolidation of that content in one repository channel. The Nook Tablet will have to be configured with several accounts to have access to the same volume of content, and then the content will be available via a spread across multiple channels. Chippy: Fragmentation is a real issue when it comes to developing apps which, in turn, affect the value of the whole Android product range. ICS is the right step, almost a first step, in removing some of the fragmentation but we must not forget that screen sizes, processing capabilities, and sensors all cost development and testing time and are part of the fragmentation problem. ICS development will remain focused on handsets first until the numbers rise significantly. The screen-size/platform fragmentation will remain in the Android ecosystem so Google has to make it as easy as possible to develop. That means fast, quality dev tools and emulators. 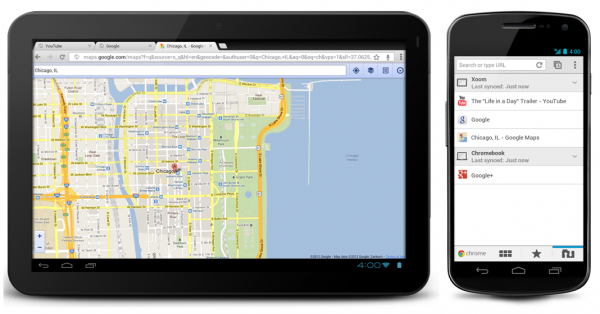 What are your current Android devices of choice (tablets and smartphones)? What is your projected next Android acquisition and why? What are your thoughts on Android Tablets as media consumption devices versus their utility for productivity? Ben: I haven’t yet found an Android smartphone or tablet that has quite cut it for me, but I also feel like I have no need for a tablet at the moment, it is too redundant between my smartphone and laptop. It’s quite possible to get done work on tablets, regardless of the platform, but it really comes down to the applications and how well they run on the hardware. Damian: The Asus Eee Pad Transformer with keyboard dock is my current tablet but I am in the market to pick up for an Asus Eee Pad Slider. I don’t need the extra battery life the keyboard dock gives me and I don’t want the extra weight either but I love having the ability to use a full keyboard. What I’d like is a touch screen with a full keyboard when I need it without having to carry around a dock or external keyboard and this is what the Slider gives me. I’m also relatively happy with the build quality and Android implementation that Asus did. The Slider has a full sized USB port â€“ killer feature on a tablet. If you want to provide a level of productivity capability at any volume and have a chance in the enterprise market, manufacturers need to make tablets with a keyboard and possibly a stylus â€“ there I’ve said it start the flames :). I run a Motorola Atrix 4G for business and personal use and it is the best phone I have had to date. I sold an iPhone for the Nokia N900 and the Nokia for the Atrix and I have never looked back. Fantastic hardware coupled with a great implementation of Android and cool, very functional accessories make this a very productive and useful phone. I have yet to defeat the phone with any media format or file type and I credit Motorola with doing a great job of implementing Android and a fantastic out of the box Android experience. Jerry: My current kit includes an HTC Evo 3D as my primary smartphone and a Samsung Nexus S 4G as my secondary, both on Sprint. My tablet kit consists of the Lenovo ThinkPad Tablet 16GB, the Acer Iconia Tab A500 16GB, and the Motorola Xoom 3G. The two phones break even as far as the one of choice. I like the stock Android load on the Nexus, and I prefer the display over the one on the Evo 3D. But I like the Evo for its faster processor and speed, and the availability of the 3D camera. Amongst the tablets, while I like them all, my ThinkPad is the device I carry with me every day and I love the utility of digital inking on it over using a capacitive stylus with the Xoom or Iconia. When I originally drafted this, I thought my next acquisition was going to be a Samsung Galaxy Tab 8.9. I mainly wanted it to replace my iPad, which recently died, with a smaller form-factor option for increased portability. Instead I grabbed a Kindle Fire. It is a lot easier to grab and carry than some of my 10″ devices. I have access to the right amount of my cloud services and content that it makes sense for me to grab it as I head out the door probably about 50% of the time. My initial hour after waking in the AM is spent using the Kindle Fire to read content, communicate with friends, colleagues, and co-workers, and plan out events for the day. Chippy: 15 minutes before writing this sentence I was given an iPad 2. Let’s see what happens in the following weeks but I’m currently writing this text on the Galaxy Tab 7 and I suspect that my mobile productivity will remain in this 7″ space due to size and ease of thumb-typing. Currently that means an Android-based solution. I don’t use an Android phone because of short battery life and poor cameras. 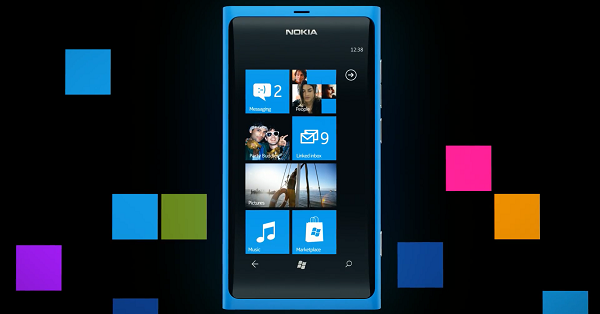 Yes, I was locked-in by a test of a Nokia N8 which I still think is a fantastic cam/phone. I’m currently looking at the Galaxy Tab 7 Plus and Galaxy Tab 7.7 as a future upgrade possibility but I may wait for proven Ice Cream Sandwich products first as, to be honest, the Galaxy Tab 7 is still working well for me as a productivity, media consumption, reading and social networking device, despite still running a 2.x build of Android.